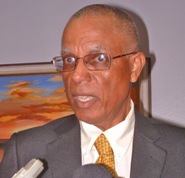 A top official of the National Democratic Congress believes that the decision by Governor-General Sir Carlyle Glean to appoint three of its members who were unsuccessful in the 19 February General Election as senators in the Upper House is his way of ensuring that those who voted for the party have a voice in the Parliament. 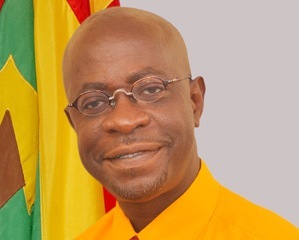 “It’s providing an opposition platform to speak about the choices of Government,” said Nazim Burke who lost his third bid to represent the constituency of St George North East in the House of Representatives, but was among three persons to appointed to the Upper House of Parliament at the invitation of the Governor-General. “It is not for me to second guess the judgment of the Governor-General, but I am sure in making his decision, he concluded that the NDC is the main opposition party, with us having received more than 22,000 votes at the last elections. Now even though none of our candidates were successful, there isn’t really another political organisation with a major following,” said Burke, who is also the Deputy Political Leader of the NDC. 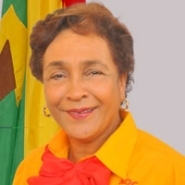 Grenada found itself in a constitutional crisis following the recent General Election, when the New National Party won all seats in the House of Representatives. It means that there is no leader of the Opposition in the House, and thus the three persons to be selected to represent the opposition in the Senate will have to be appointed by the Governor-General. Last Friday it was disclosed that along with Burke, the other two persons were Franka Bernardine and Dr George Vincent ,who contested the Town of St George and St John constituencies respectively. The Senate or Upper House of Parliament comprises 13 seats. 7 represent the interest of the Prime Minister; 3 represent the interest of the Leader of the Opposition; and the final 3 are one each for the Business Community, the Farming Community and the Trade Union Movement.